January 20, 2019, and we’re in the 29th day of the partial government shutdown. For many federal workers living in our community, tough choices and priorities are required for them and their family. 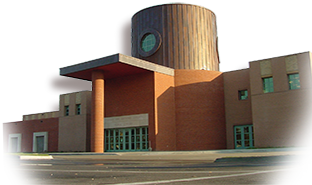 If you know someone affected by the shutdown, please share that the public library can help by providing free learning and leisure events, as well as resources to help during the furlough. Need to use free Wifi? Your library has it. Looking for no-cost entertainment for you and your kids? Check out our events calendar for art encounters, preschool storytimes and technology classes. 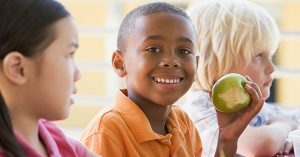 After you pick up your kids from school stop by the library for a delicious snack prepared by the Millennium Cafe and provided by the Harvester’s program served to children birth to 18 years old in the Kids library M-F 3:30-4:30pm. If you don’t want to spend money on movies, check out DVDs and digital downloads for free. Dropped the gym membership to save for essentials? 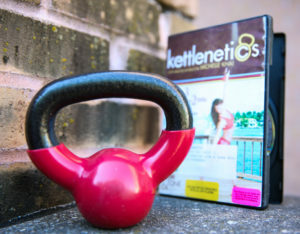 The library has exercise kits for kettlebell, Tai Chi and Yoga that checkout for 21 days. If you’re looking for a career change, we can help – a librarian is a great resource for creating a new resume or providing the best links for your job search. Diana is the communications & marketing director. She spends her days managing all the library’s communications and marketing strategies that help connect people to library resources, services and happenings. A seasoned professional, she has been telling stories in print, digital, video and live broadcast formats for three decades. Posted in Library News and tagged government shutdown.